Rear Admiral Ronny Jackson has garnered almost universal praise for his skills as a military physician and his character. But his appointment to lead the Department of Veterans Affairs is proving divisive as critics point to his lack of experience managing a large organization. On Wednesday, President Donald Trump named Jackson, the top White House physician, to replace David Shulkin, a holdover from the Obama administration, as secretary of Veterans Affairs. The nomination immediately sparked criticism over Jackson’s limited management experience. The Department of Veterans Affairs has a $182 billion budget and hundreds of medical facilities and offices across the country. The agency has 385,233 employees, a spokesperson for the agency said. Others defended Jackson, citing his decades-long career as a military physician and ability to perform in high stress situations and coordinate large operations. “Ronny Jackson will be just damn fine in management skills,” said Dan Bongino, a former Secret Service special agent who worked with Jackson on the presidential protective division from 2006 to 2011. Bongino has since run for political office as a Republican and been a conservative commentator on numerous television programs. Jackson has served under three presidents, which gives him bipartisan appeal. Both Democrats and Republicans say he is a superb doctor. Trained in emergency medicine in the U.S. Navy, Jackson was appointed as a White House physician in 2006 under President George W. Bush. In 2013, President Barack Obama appointed him as physician to the president. He now serves in that same role under Trump. 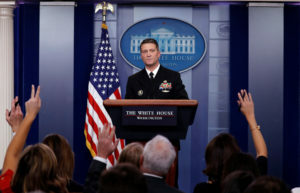 Jackson is not well known outside of Washington, but he attracted national attention recently after conducting Trump’s medical exam, when he gave the president a glowing assessment at a press conference. Jackson put the president at 6-foot-3 and 239 pounds, sparking widespread memes and photo comparisons to famous athletes online that poked fun at whether those numbers were accurate. Yet those who have worked with Jackson say Americans should look past that episode and focus on his years of experience coordinating advance medical teams for presidential visits abroad. As part of his job at the White House, Jackson helped create a contingency plan in case of a medical emergency so the president could receive the best treatment as quickly as possible. The job has required coordinating with the Secret Service, foreign government leaders, and hundreds of medical staff to determine the closest medical facilities in locations where the president traveled, what their treatment specialties were, and whether they had access to things like a helicopter landing pad, for example. “Quite literally the president’s life is in his hands,” Bongino said. It is a high-stress environment, according to Jonathan Wackrow, another Secret Service agent who served under the Obama administration from 2009 to 2014. 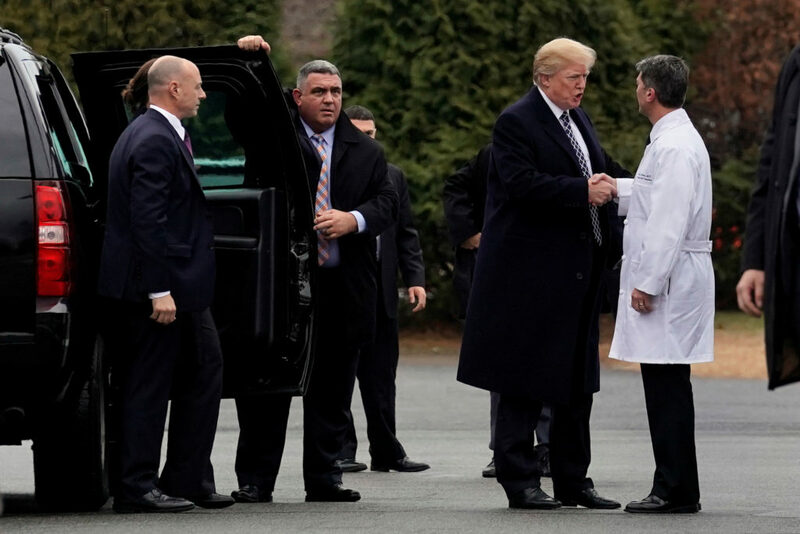 The president’s physician must handle the presidential family’s medical needs, the everyday stresses of the White House, political influences and constant travel. Jackson graduated from Texas A&M University in 1991 with a bachelor’s degree in marine biology. He attended medical school at the University of Texas Medical Branch. After graduating he became an instructor at the Naval Diving and Salvage Training Center in Panama City, Florida. He went on to serve as a diving medical officer for an explosive ordnance disposal unit in Sigonella, Italy, and a diving safety officer at the Naval Safety Center in Norfolk, Virginia. He later served as an emergency medicine physician in Iraq before joining the White House. If he is confirmed by the Senate, Jackson would be the first Veterans Affairs secretary to have served in either the Iraq or Afghanistan wars — an experience that will likely resonate with the more than 2.7 million soldiers who have been deployed to the countries since 2001. Even those who support Shulkin’s resignation said Jackson will have a steep learning curve. “The VA is a very complicated and complex medical system. There is a lot that anybody will need to learn about it, ” said Dan Caldwell, the policy director for Concerned Veterans for America, an advocacy group funded by the conservative billionaire Koch brothers. There are also questions about whether Jackson would be required to retire from the military or be granted a waiver from Congress because active members of the military are generally barred from holding civilian office. For all his military and experience, Johnson is still a largely unknown quantity in the larger veterans community. And for all his military and experience, Johnson is still a largely unknown quantity in the larger veterans community. At the fore of many veterans group’s minds is whether Jackson might privatize more agency services.In a New York Times op-ed after he was fired by Trump, Shulkin warned that the department has “become entangled in a brutal power struggle,” with political appointees seeking to “privatize veteran health care,” a point he echoed in an interview Wednesday with the PBS NewsHour. Shulkin, who has been under fire for an inspector general report that suggested he misused government funds during a trip to Europe, added the chaos surrounding that debate played a role in his ouster. 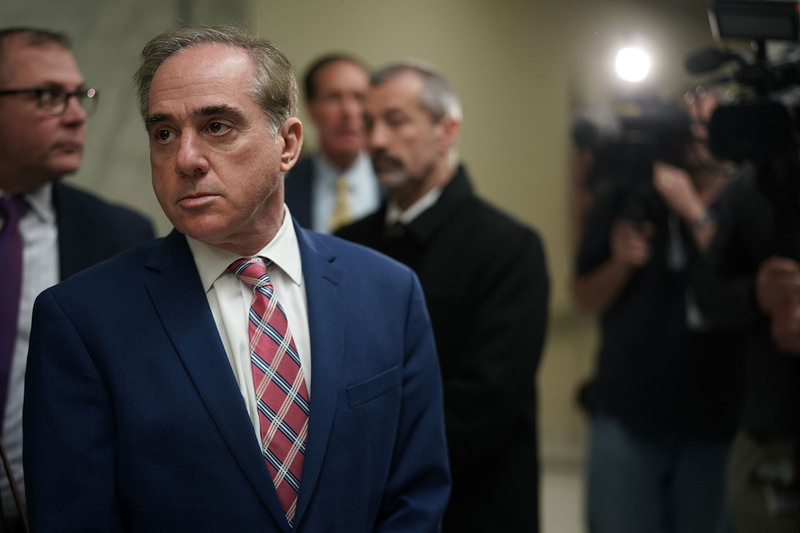 When he was asked by the NewsHour’s Judy Woodruff whether Jackson might push for more privatization, Shulkin said he had not discussed the issue with his successor. “But I certainly hope he’s going to continue the work that I’ve been doing to move the department to transform it in a better way,” Shulkin said of Jackson. “I will certainly do everything I can to help Dr. Jackson succeed in that role,” he added. Shulkin is one of several top administration officials dismissed by Trump in recent weeks. The president has also recently ousted Rex Tillerson as secretary of state, and nominated CIA Director Mike Pompeo as his replacement. He also picked John Bolton, a former U.S. ambassador to the United Nations, to replace National Security Adviser H.R. McMaster. Bolton, unlike Shulkin and Pompeo, do not require Senate confirmation. Veterans advocates said they would follow Jackson’s confirmation process closely. If he does get the Senate’s stamp of approval, Caldwell argued, Jackson would have one major advantage: he has the trust of President Trump, at least for now.